When we turn on the R.O. filter tap or twist open a sealed water bottle, we might not give a second thought to what’s in the water. In most cases, while the water looks clean, it is not actually clean. We are literally living in the most toxic environment that any generation before us has had to face. 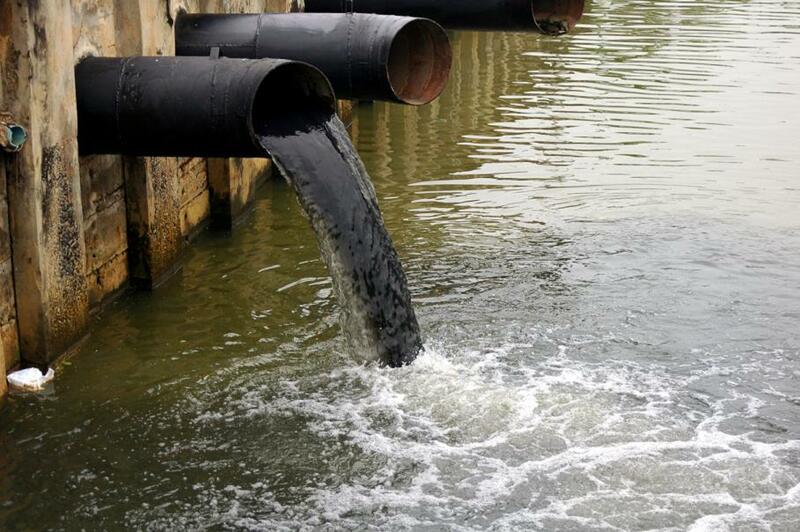 This is reflected in the form of unwanted substances that seep into the water supply. Drinking water is subject to myriad potential points of contamination as it travels from its source through the treatment/distribution system to your faucet. These hazards, sadly, can't be seen, tasted, or even smelled. There are a number of technologies that are used to purify water, namely distillation, reverse osmosis, ozonation and filtration through carbon filters. Different types of filtration remove different pollutants—but despite huge advancements in the field, there's no single technique that removes all the contaminants from water. The use of these systems in isolation can in fact compound problems rather than solving them. For example, while distillation removes minerals and many volatile organic chemicals (VOCs), it is ineffective against synthetic chemicals that vaporise and recondense in the water. Reverse osmosis uses a semi-permeable membrane to remove dissolved inorganic solids. On the down side, because it removes minerals according to physical size and is non-selective in its removal of dangerous and beneficial minerals, reverse osmosis does not provide the healthiest drinking water. Ozone units kill bacteria but is rendered useless against chemicals, lead, asbestos, and particulate matter. The process can also leave high amounts of undesirable by-products such as formaldehyde and ketones in the water. The answer is not simply to remove all chemicals, minerals and elements from the water. Treated water can never be a substitute for natural water, which is both clean and is capable of restoring salts and minerals that the body loses through perspiration and other factors. The ignorance among consumers to the quality of water can largely be attributed to the proliferation of household filters and machines being advertised by actors and cricketers. These machines do not give consumers the powers of testing the input or the output water quality. In the case of bottled water too, the imagination of the public is that it is pure, but one does not truly know whether the water meets BIS quality standards. Scientists from the Environmental Monitoring and Assessment Section of Bhabha Atomic Research Centre (BARC) recently tested around eighteen brands of water and found that the packaging process introduced a host of harmful chemicals, often dubbed as 'disinfection by-products' such as chlorite, bromate, and chlorate, which were not previously present in the water. In most cities in India, a hundred laboratories offer to test your blood at the convenience of your home. The same cannot be said about home based water testing, which doesn’t come as easy as checking body temperature or blood pressure. Last year, a run in with the dreaded typhoid fever led me to send some samples of both tap water and a branded 20-litre ‘mineral’ water jar (what good are the minerals really if the water is still contaminated) to my microbiologist sister-in-law for testing. While the former showed the presence of Salmonella typhi, a strain of bacteria responsible for typhoid, the latter returned results of Escherichia coli (i.e., E.coli), a bacterium known to cause serious food poisoning. Such a startling discovery adds to growing evidence that there are key deficiencies in the governance of water. ‘Designer’ H2O supplied by renowned brands for which we pay a premium doesn’t actually come from where you think it does (certainly not from pristine glacial lakes and mountains as is being advertised). The bottled water industry taps into the public fear of municipal water, successfully luring consumers with claims of health and purity benefits that are not backed by any data. Unlike municipalities, who are mandated to publish results of contaminant testing in a public record every year, the bottled water industry is not legally bound to do so. Still, the bottled water industry is enjoying its most dynamic growth rate in several years, reaching record heights in consumption. The commodification of a fundamental human right to clean drinking water also comes with a huge environmental cost. Large volumes of plastic trash spin endlessly in ocean eddies. And its slow decay rate means that the vast majority of all plastics ever produced still exist – somewhere. Salmonella typhi and E.coli aren’t the only looming threats we need to be worried about; a wide range of chemical contamination and heavy metals plague our drinking water. Nitrate contamination in groundwater is the most common cause of ‘Blue Baby Syndrome’, which reduces the carrying capacity of oxygen in haemoglobin in babies, leading to death. Arsenic is the most toxic element abundantly available throughout the earth's crust. 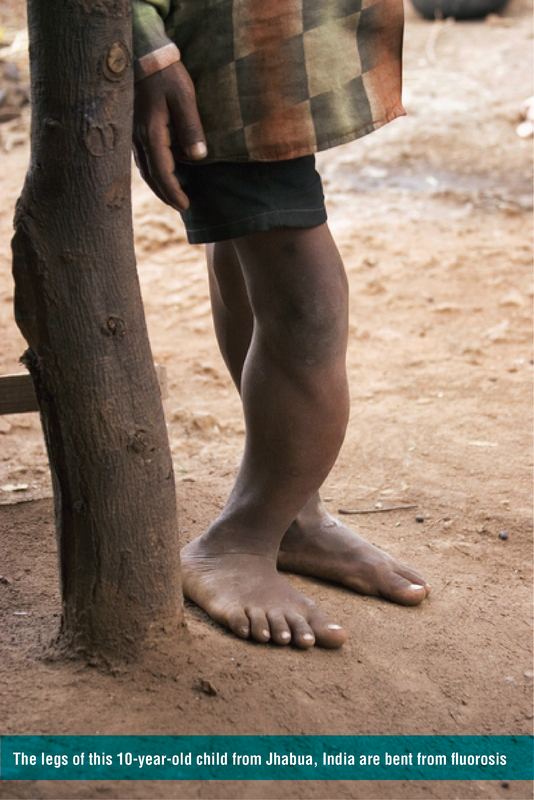 It seeps into the ground water causing widespread cancer, bone deformities, paralysis and birth defects. The total number of cases reported from Arsenic-laced water areas - i.e. Assam, West Bengal, Uttar Pradesh, Jharkhand, Chhattisgarh, Bihar and Manipur - amount to 5 million! Health effects include skin lesions and cancer of the skin, lung, kidney, bladder and liver. More than a million people in India, including children, have fallen victim to dental and skeletal fluorosis, caused by chronic high-level exposure to Fluoride. Lack of public awareness and weak regulation of utility service providers have triggered a tragic failure of drinking water quality management. Regional water authorities such as the Delhi Jal Board only care that the water being released is of kosher quality, what consumers get at the end of the pipe - water that is mixed with biological and chemical elements - is not of their concern. As citizens therefore we are bound to worry about water. While many citizens in India have reverted to the age-old practice of boiling their water, others are helplessly unaware of their drinking water quality. It is in collective interest to encourage and empower local civil society as a means of achieving and sustaining the delivery of safe drinking water to all. Citizen monitoring of water quality can call bluff of water suppliers who claim that their product is the purest possible. Hopefully, as consumers produce and demand more water quality data, institutional mechanisms will be established to ensure that various supply chains, both government as well as private, adhere to quality standards. A web platform where people can elicit information and share their water quality testing results can also help enforce complete transparency in the functioning of those who test water. Governments, public and scientific institutions that have the information of exact source and causes of water contamination should make the public aware about the levels and impacts of this contamination. Again, all services and innovation will remain futile unless they are made more inclusive to include the poor, who do not have access to clean drinking water. Kits for arsenic and fluoride tests should be given free or at a subsided rate to the poor to check the purity of drinking water. Welfare schemes that ensure sustainability of water sources, rain water harvesting, and ground water recharge projects in rural areas can make democracy ‘real’. For those of you who haven’t given much thought to what you are drinking as opposed to what you could be drinking, it’s probably high time you start. Whether it’s sparkling or still, bottled or tap, mineral or filtered – you ought to know, what’s in your water.